Hey loves!!! 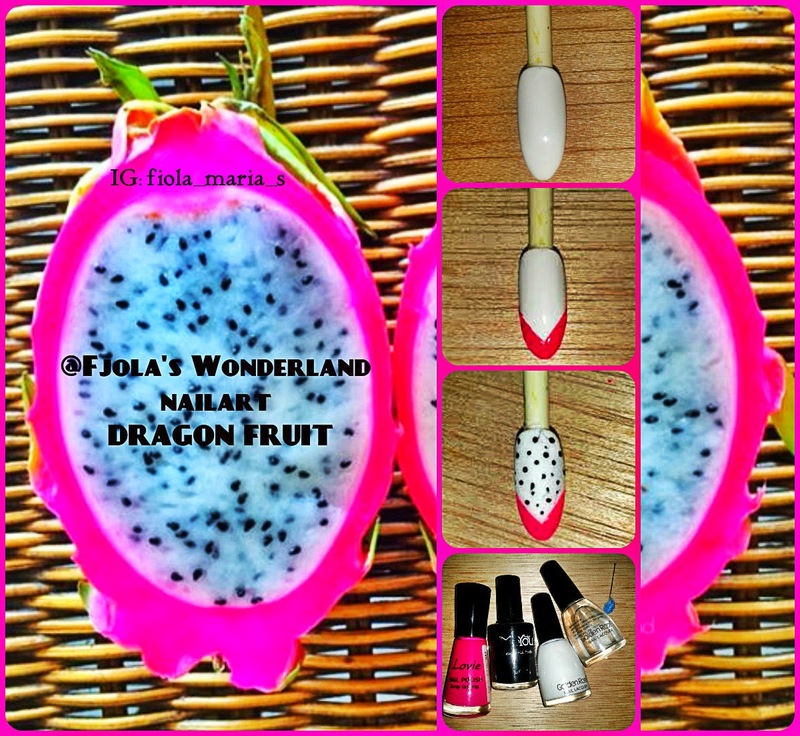 Todays tutorial isinspired by dragon fruits. 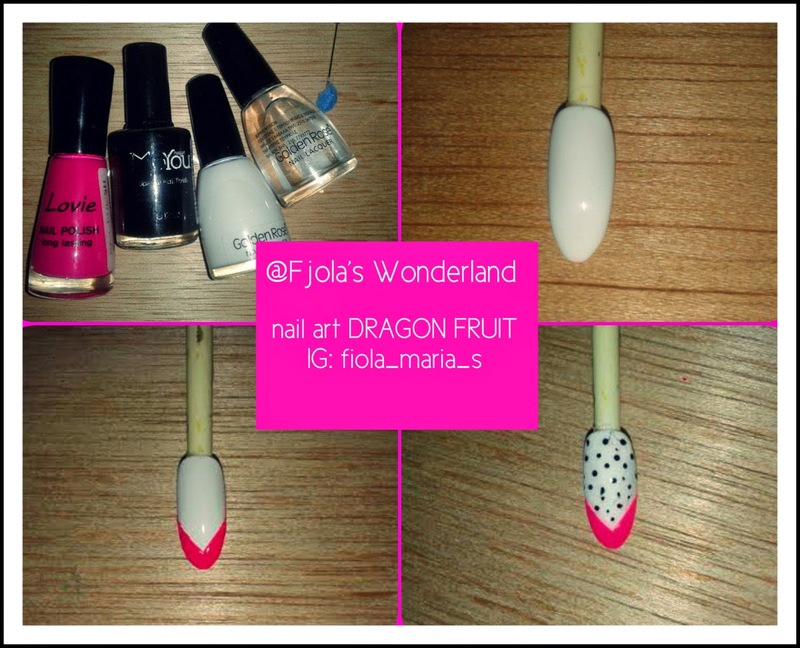 I choose dragon fruits because of their colour...this combination of fuschia and black and white made me think that...hmmm ...well yeah that's a nice spring combo and why not a spring nail tutorial too. Apply a base coat. Then apply two handsof white nail polish. After the white nail polish dries , draw two sidelines with the fuschia nail polish. With the pin and the black nail polish make small dots . For perfect result use a generous amount of top coat ....And you're done!!! This is an easy and really quick nail art design!! !